I know you have probably seen pictures from the quilt show by now on a few or more other blog sites. Certainly more professional than my own, but perhaps you will see something new here anyway. I had gone primarily for the Red & White exhibit and although I live in Houston, I have only been to the show twice since we moved here over 4 years ago. I don’t remember the huge display of quilts from my first trip. There were 25 rows of quilts (based on the banners hanging down from the rafters) and at least 100 or more in each row?? Maybe?? It took several hours to walk through it all. When I was done, my friend and I were pooped and we didn’t even go through the merchant booths. Next year, I’m buying the weekend pass and going to it all for sure. Just wish I knew how to get into the trade weekend that is blogged about so wonderfully. I left there so wanting to get right on my Univ of Houston quilt and see it take shape (colors are red/white/navy). Now, to be sure – there were lots of beautiful quilts. Applique, trapunto, thread painting, piecework, 3-D and layered effects, etc… But I found myself so pleasantly surprised when I came upon a special exhibit area for Australian artists. I found myself seeing quilts I had in books and magazines but you can’t believe how wonderful they are in person and close up. O.M.G. … they were stunning. Now, I’m going to get back to my ironing board and sewing machine and try not to think about how much I would love to slow stitch one of those masterpieces… maybe in my retirement years. Hope all is well with you! Have a restful weekend. Oh. My. Gosh. I am so tardy in this post. I would not blame my predecessor at all if there was severe disappointment in her soul. Earlier this month, Dawn at First Light Designs asked if I would like to participate in the Around the World Blog hop. I had happily agreed and thought it was an honor that she had asked. Then things fell apart and my time on the blog, and fun stuff in general, was severely limited and I wanted this post to have some thought involved. So – here it is. The blog hop involves a series of questions and answers. I hope you enjoy! Like you, I have many WIPs (works in process) and some that have graduated into UFOs. Right now, I am wanting to stay up with the monthly sew along hosted by Sinta and Sherri called AYOS (Another Year of Schnibbles). I can’t recall which year we are on, but the second installment for this year is due today and I have the main part of that quilt done. I haven’t quite decided on the border treatment yet. I’m leaning towards some appliqued flowers in the style of Kim Diehl. After this quilt top, I plan to return to the Reach for the Stars progressive quilt, published over the last seven editions of Quilters Newsletter. It is designed by Terri Krysan and I have tried to be faithful to the color scheme, but I have used many different collections of neutral fabrics for my own top. After I get rolling on this one again, I have about 7 completed and quilted tops that desperately need binding. This is a difficult one for me, because I am very inspired by what I see around me on other blogs or magazines/patterns. I haven’t been the type to change up designs and I have yet to do my own pattern, outside of a log cabin variation a long time ago. I copy what I like and perhaps just change the fabric choices at times. Deep down, I love the idea that I am creating something from scratch. Yes, we are all taking perfectly good yardage of fabric and then cutting it all up and sewing it all back together again. I get that. But the result is something that is, thankfully, considered by most as a treasured result when you have a quilt. 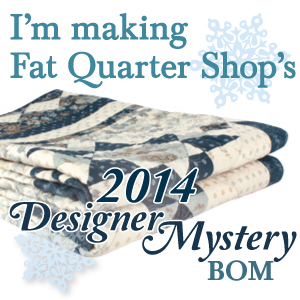 I am partial to bed size or large throw size quilts. I love seeing the mini quilts and wall hangings, but I don’t have that many walls or table tops to adorn with quilts. I want to snuggle under quilts and interact with them daily. My most favorite reason for making a quilt is to celebrate an event or friendship. Having my two kids were such excellent excuses to put together some of my favorite quilts so far. Friends that have gotten married, bought their first house or had their first grandchildren are also up there on my list. I see it, I like it, I buy fabric and pattern. I love kits. I usually start with the body of the quilt and utilize my creativity with the fabric choices – trying to bring in some similar collections to make it a bit more scrappy. I love borders. And most patterns aren’t big enough to make a good drop off the edge of the beds (usually queen size is my preference). So I try to look at the theme of the patterns to come up with a good coordinating border design that will look as though it was intended. Which it was … by me! (See Swoon quilt above – I wanted it to be a good King Size so I added the tumbler block border). I don’t have a specific person/blog to send you to directly from me, but there are many of my favorite bloggers that have participated already in this Around the World Blog Hop, that I thought it would be great to give you the list and links of those I could easily track down in 30 minutes or less. Please visit their post and learn more about what makes them tick and their unique styles. Have a great weekend and I’ll be back with some Halloween pictures on the next post.